Training. // Courses, seminars and qualifications to help you learn and grow. Equipe Training provides unrivalled independent, professional and comprehensive vocational training and continual assessment to all stakeholders in the geotechnical industry; from educational establishments and universities, through contractors to consultants and clients. This training and assessments are is delivered either from our base on the Upton Estate, or from selected facilities throughout the UK and Ireland. We also provide teams or individuals with the required expertise to meet training and drilling consultancy requirements worldwide. Our courses are vocational and have been developed to provide key skills through to advanced training for drillers, undergraduates, technicians, earth scientists, geologists and engineers who wish to start or progress their careers in drilling and geotechnics. Equipe Training has partnered with the UK's leading manufacturers, suppliers and a number of independent consultants to ensure that the courses are delivered by trainers with real experience and knowledge and the course content contains up to date content. Equipe Training works very closely with the Association of Geotechnical and Geo-environmental Specialists (AGS) the British Geotechnical Association (BGA) and the British Drilling Association (BDA). 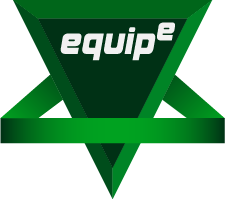 Equipe is contracted to deliver training for the Land Drilling Apprenticeship Scheme which is anticipated to deliver between 16 and 24 trained and qualified Lead Drillers into the UK industry annually. In addition, our technical training courses are endorsed by the Geological Society of London. We provide training in all technical aspects of geotechnics and drilling and also provide a comprehensive suite of technical seminars.